Diwali is all about colourful lights, crackers, decorated rangolis and allowing yourself to enjoy the pleasure of food cuisines. As, the festivity is around the corner, mothers are busy in the Kitchen to prepare the scrumptious and haute Indian cuisines for the family members. They are looking forward for the special recipes to serve on the different days of the festivities. Since, we all know, no Hindu festival is complete without stereotypical Indian savoury sweets and snacks. Hence, it is the high time to treat your friends and relatives with fingerlicious sweet dishes which would be a hit at your house. 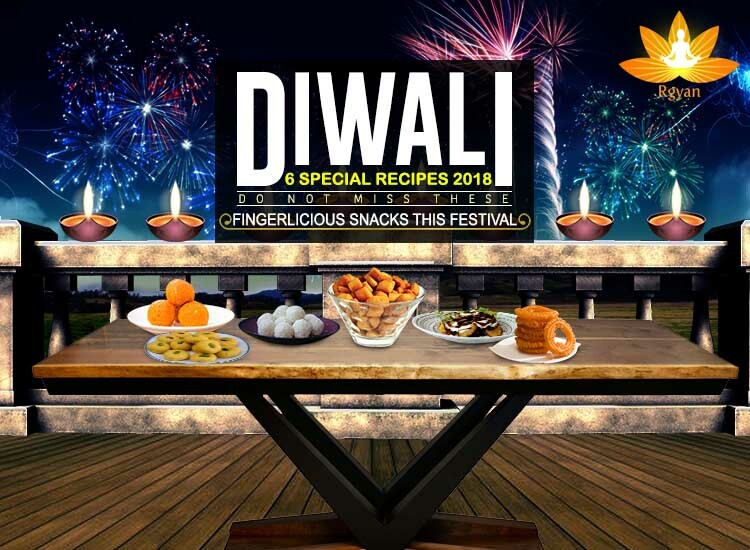 Check out 6 mouth-watering special Diwali snacks for 6 religious days of Diwali festivity that will make you go weak in the knees. Mathri or Mathi is all time favourite Indian snacks which can either be baked in the form of long thick sticks or rounded, filled with spicy besan Masala. Enjoy this pungent namkin mathri with tea or coffee as an evening appetizer after Diwali as well. 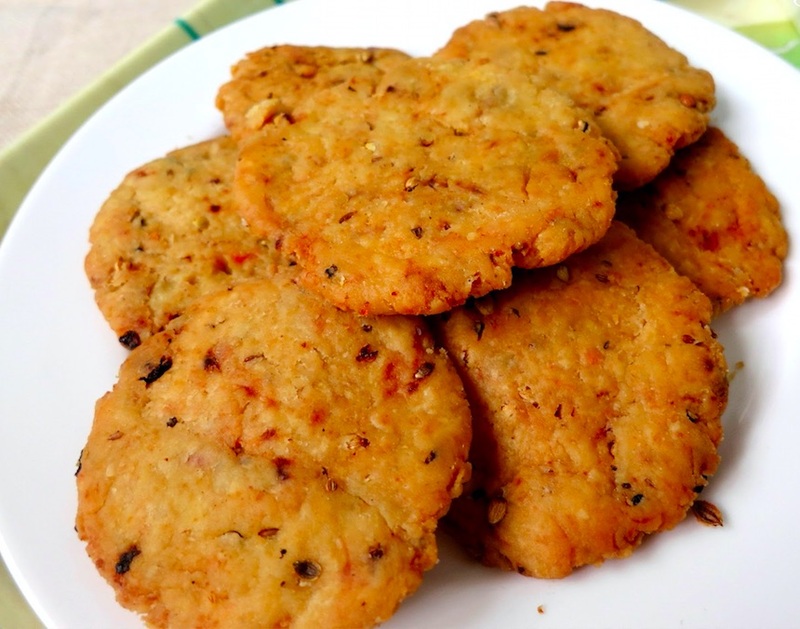 Mathri becomes even tastier if filled with methi masala and deep fried until both sides get light golden-brown shades. 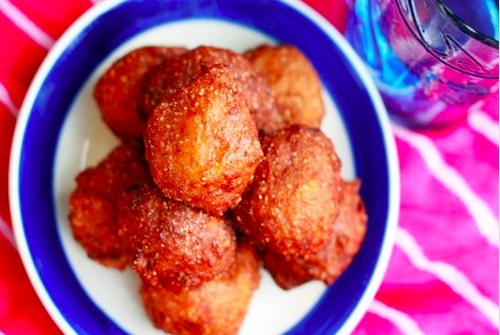 These light Diwali recipe can be stored for a longer time and served to guests thereafter. Masala methi mathri would be a good start for this wonderful Diwali festival. 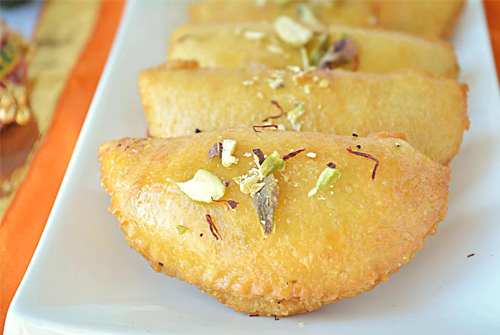 The Festival is incomplete without the sugar—loaded mouth-watering Indian sweet- Ghujiya. Ghujiya are the first saccharine dish to be prepared by Indian moms, a day before Diwali. Collect the dry fruits present in your kitchen, blend them well with Khoya- mawa (dry condensed milk) with lots of sugar. Fill this mixture with easy available Ghujiya cutters (and holders) and dip in sugar-syrup for taste. This over-loaded syrupy sweet-dish would turn out to be a perfect for the third day of Diwali, which is commemorated as Kali Chaudas in India. Peas Kachori is basically a flaky and crispy vegan Indian stuffed Pooris, deep fried in oil with spicy mashed peas. A deadly combination of Matar Kachori with red sonth chutni, (i.e. meethi chutni) would be a good start on the third day of Diwali- Dhanteras. 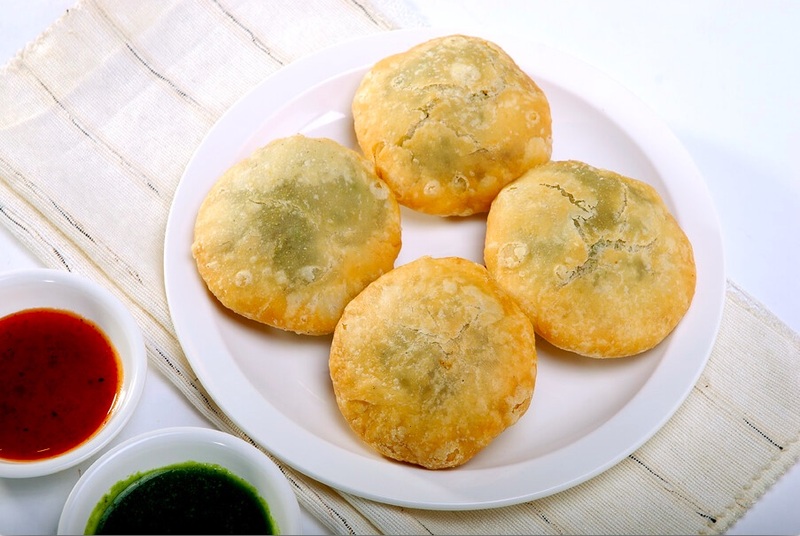 Kachori is something that no one can resist to avoid the hunger on this special occasion. The finger-licking Sonth Chutney along with Matar kachori and perhaps accompanied by green-pudina Chutney too make a perfect morning breakfast or evening snack, served with Garam Chai (Tea) on Diwali. 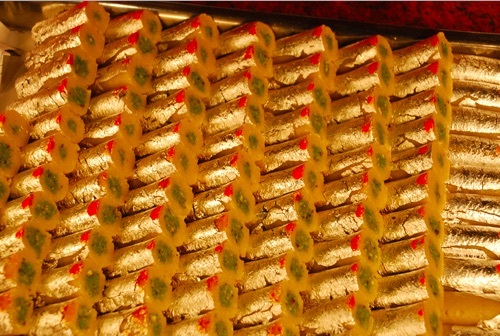 Kaju Pista rolls- the most awaited appetizing sweet food that comes under the main Diwali delicacies is palpably a treat to your mouth. 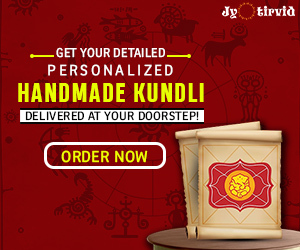 Also, do not miss to offer these sweetmeats to divine deities at home in the course of Diwali as Bhoga and distribute to one and all only after Diwali Pujan. 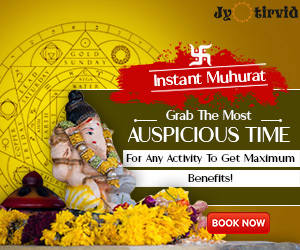 Yes, wait till puja happens. Patience pays. Though it looks tricky making the gujiyas but if proper procedure is followed these mava gujiyas always turn out perfect. Packing the heavy-knit richness of pistachios, cashew-nuts and elaichi, this aromatic Diwali sweets recipe at home is a winner in Diwali festive occasion. This is the best traditional Diwali recipe; you can bake at home and a must-try flavourful dish. Being the easiest among all the Diwali recipes, it is something; you cannot resist on this festival. Prepare this sweet-tooth with a satisfaction of joy and jubilation with super-duper easy process. And a fancy presentation on top of it would certainly put a bright smile on your guest faces. Grab some pumpin (kaddu), boil it well. Add some fine jaggery, coconut powder, fennel seeds and whole wheat flour to make thick dough. Do not forget to add dry-fruits and let it deep fried in cooking oil. Serve it on the fifth day (Goverdhan Puja) and impress all with your cooking skills. Another must have on Diwali is none other than Gulab Jamun. Traditionally, it is prepared by the dough of maida and milk, but Kale Gulab Jamun, baked with bread lumps would inevitably blow your mind. Prepare it at home with quickly available ingredients and impress your brother with hotfoot handmade sweetmeat, this bhaidooj. This Diwali Sweet recipe treat is lip-smacking delight all the way! Some other compulsory sweet dishes for Diwali festivities are: Meethi Gujiya, Namak Paare, Namkeen Besan, Potato Sev, Mesmerizing Rasgulle, Chivda, Sweet Shakkar Paare and Papdi Chaat. Do not fail to impress your family from your feasting surprises with these sweetness and let them enjoy every bit of the high-spirited festival. Wish you all a very Happy Diwali and Shubh Deepawali!! Next articleDiwali Celebration at Office: We know Work is Boring, Here is what Interesting! Diwali Celebration at Office: We know Work is Boring, Here is what Interesting!